I include a lot it. 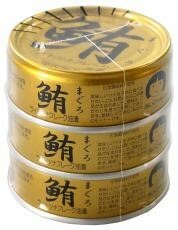 Is tuna oil marinated tuna seasoned with vegetable soup, roast onion and salt. Oil taste lighter domestic U.S. oil use. ☆ salads, sandwiches and sushi, spaghetti, hors d'oeuvres, etc. * Note: do not cut hand in the cut like handle with care!